Isn't he adorable? We had great time making this cute Easter Bunny at a recent workshop. What a great way to use the Stampin' Up! 's sweet treat cups! 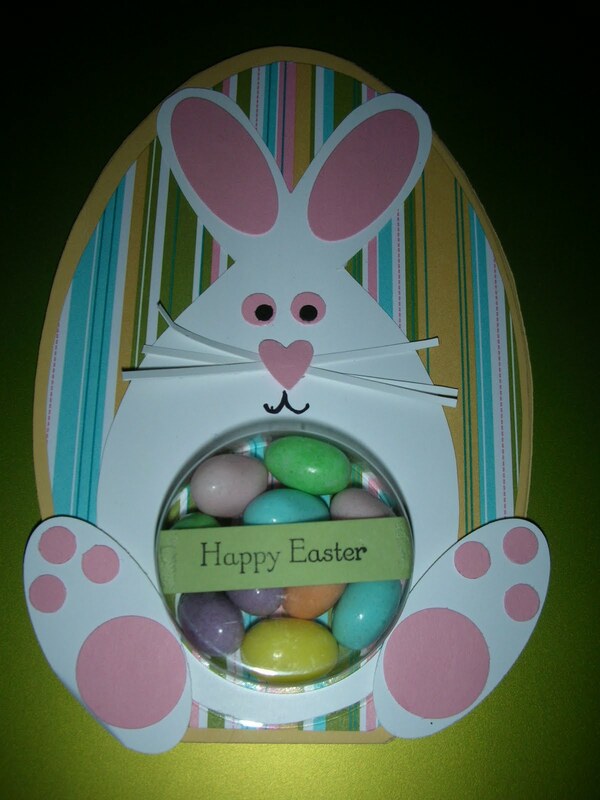 A big thank you to Sandi MacIver who provided the template for the egg-shaped card and bunny's body. If you want a copy of the templates, just let me know and I will send them to you and you can share your own Easter treat with someone! Where have I been and why haven't I been blogging? Well, here's the view from where I was! First person to email me with the correct guess of where I was will win a prize! Now, you have to be somewhat specific in your guess - perhaps being as specific as the name of an island, maybe????? I'll post the answer and the winner's name as soon as I have one! I had a wonderful time and want to thank my sister Becky for inviting me to come along with her on the trip! 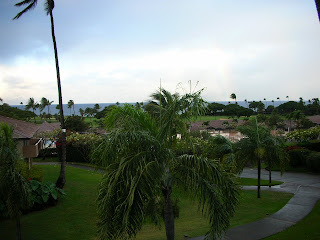 We had a blast and did a ton of shopping - is there a better vacation than that? Stampin' Up! Sale-A-Bration sets are so cool! I am having a lot of fun using the sets that we get free with a $50 order. 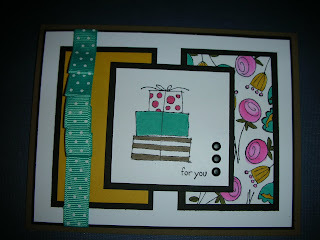 Here's a great birthday card using Stampin' Up! 's current "In Colors" and the Happy Moments set from the Sale-A-Bration catalog. There's still time to get one of these cool stamp sets as Sale-A-Bration continues until March 31. How cool is that?